Former Maybole man William Davidson has just released his first book of poems. Called Remnants of a Scottish Childhood, the ISBN number is 978-1-4787-8 and it is available on amazon.com. Bill tells us that if anyone would like to buy a copy he would appreciate if they could write a review. He first began his study of poetry in the early nineties, fascinated by the variety of verse forms and techniques that lend themselves to poetic expression. As a member of Ramapough Poets of Rockland County, he found that this group of dedicated writers helped pave the way for his understanding and love of all things poetic. In his book Bill uses a variety of forms, including some Scottish dialect, which is where his natural inclinations and poetic sentiments lie. 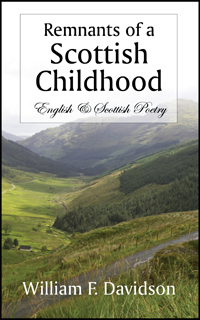 His poems reflect his youthful memories growing up in Scotland. They are filled with love, fear, disillusionment, class distinction, and a sense of wonderment that the world apart from Scotland held a place in its heart for him—and they reflect the essence of the Davidson Clan motto: Sapienter Si Sincere—“Wisely If Sincerely.” On www.maybole.org, there are a few of his poems and he says, “I have always been a great admirer of Robert Burns since I was at school. However, I never wrote a poem or even read much poetry until New Year's Day of 1991. “On that particular day I was reorganizing my song books and sheet music. From one of the books fell a piece of music paper with three bars of music and the words; By the Bonnie River Stinchar. Upon closer examination it turned out to be in my hand writing and it was an attempt to write a song from approximately thirty years earlier. I sat down and completed that first poem within an hour. 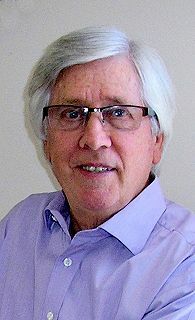 Born in Ayr 1939, Bill was raised in Maybole, where he attended Cairn Primary School and Carrick Academy, before emigrating to Canada in October 1956. He travelled throughout Canada and the United States for three years before taking up permanent residence in New York in 1959. He also lived and worked in Australia for two years and is married with one son. Several family members still live in Maybole. Bill retired several years ago as Vice President of Marriott Food Service Division.